16 inches long with a 5 inch soldered extender chain. Lead and nickel free. Stainless steel chain. 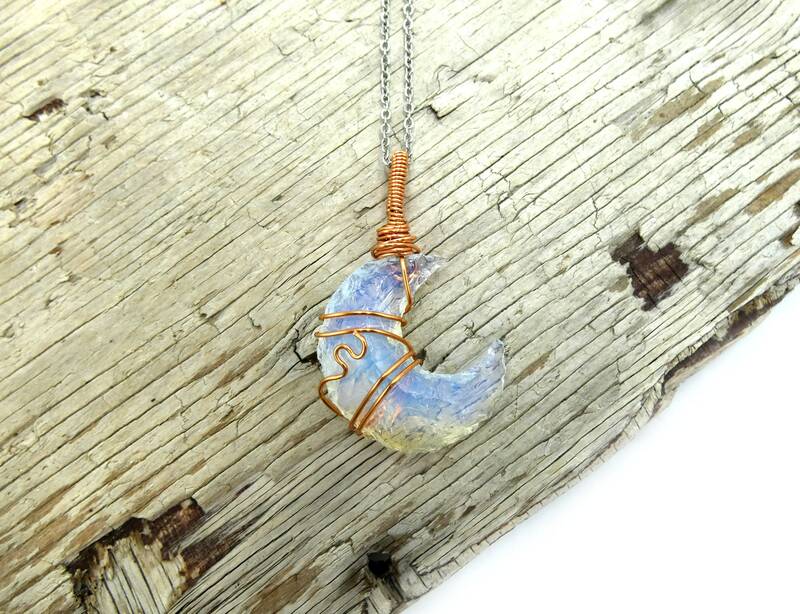 Carved opalite moon with copper wire wrap detail.